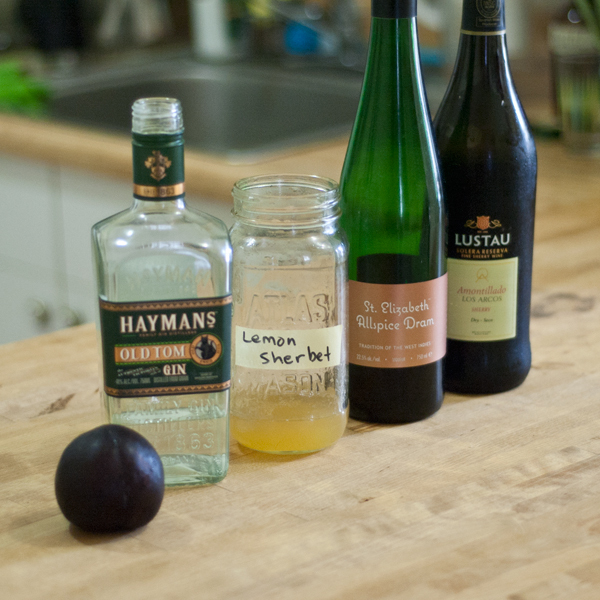 Still rolling deep with that Lemon Sherbet, still trying to keep it real seasonal with a Gin + Plum drink! This cocktail is refreshing, has a great set of spices, and plum-a-liscious. Now all we need is that old box of Clue and we can get this party started. 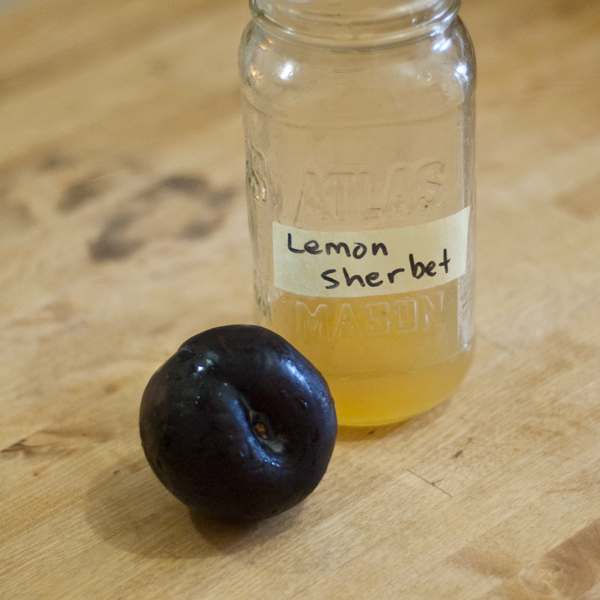 For starters, you need to make Lemon Sherbet, my new fave ingredient. Head over here for the recipe. Next you need a nice, big, juicy, plum. Yum, bum, bum. Then you can make a Lemon Plum Purée. Combine ingredients in blender and purée until everything is swimming together nicely. 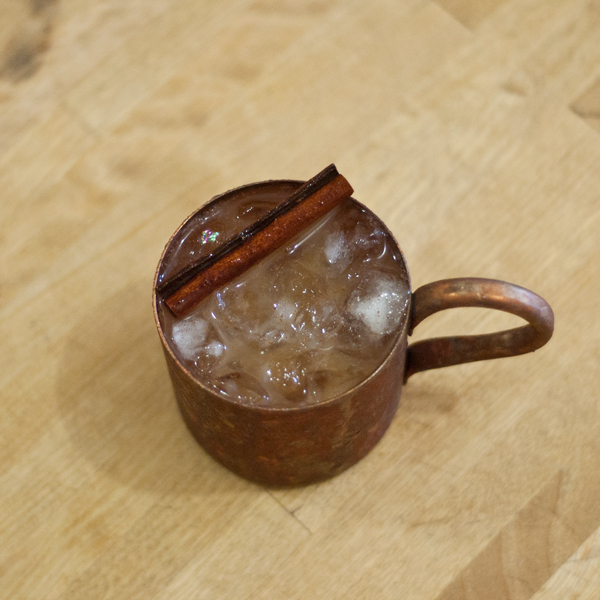 Then you need to grab a bottle of Old Tom Gin, St. Elizabeth Allspice Dram, Amontillado Sherry, and a Cinnamon stick. Combine ingredients over ice and shake vigorously. 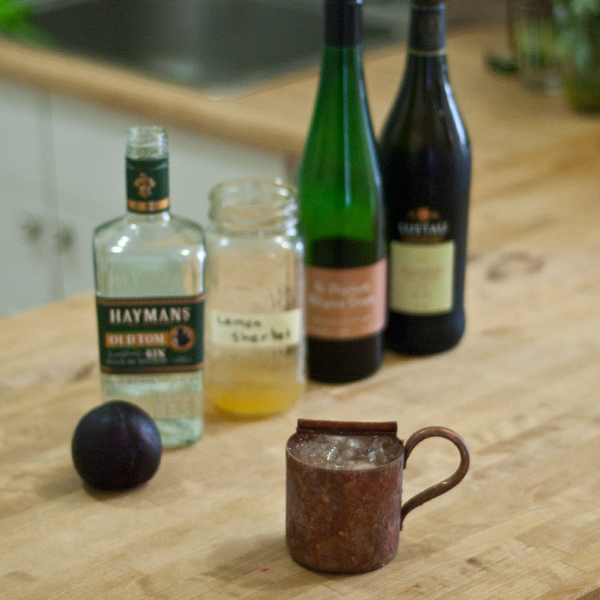 Dirty pour into Mule cup. Grate a bit of Cinnamon bark on top and garnish with the bark. Yummmm. Not sure it was Professor Plum, in the Kitchen, with the bottle of Sherry? Well, then why is all of the Sherry gone?